We just received information about a fentanyl overdose that occurred last week at a Cumberland motel. The information came first hand from people at the scene of the incident. What we have been told is that people were using drugs in the motel room, and one person had stopped responding, their lips and face started turning blue. Emergency services were called immediately. Paramedics were able to revive the person and they were sent to the hospital for additional monitoring. Please obtain a Naloxone kit if you or your friends are going to be using drugs, especially opioids. Search our map of pharmacies, community organizations and provincial correctional facilities where you can get kits and training on how to use them. Participating* Ontario pharmacies offer free injectable naloxone kits. You don’t need a prescription to get one but you will need to show your Ontario health card. The pharmacist will train you on how to recognize an opioid overdose and how to use the naloxone kit. *Not all pharmacies carry naloxone kits. Call ahead to check if your pharmacy has naloxone kits in stock. You can also ask the pharmacist any questions you might have. Please note: Only clients, their friends and family, as well as newly released inmates can access naloxone from community-based organizations. The program staff will train you on how to recognize an opioid overdose and how to use the nasal spray naloxone kit. Inmates from provincial correctional facilities are trained on how to use nasal spray naloxone and are given kits when they are released from custody. Naloxone has an expiry date. The expiry date is written on the ampoules or vials (for injectable naloxone) or on the nasal spray device. If you have expired naloxone, get a new kit. You can return any unused or expired naloxone kits to your nearest pharmacy. If you are with someone who has overdosed, call 911 immediately. 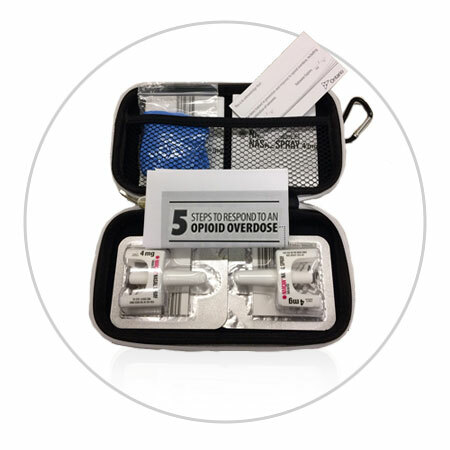 When you receive a naloxone kit, you will be trained on how to use it. Shake their shoulders and shout their name. Call 911 if they are unresponsive. PUSH FAST, PUSH HARD, with no interruptions, except to give naloxone. 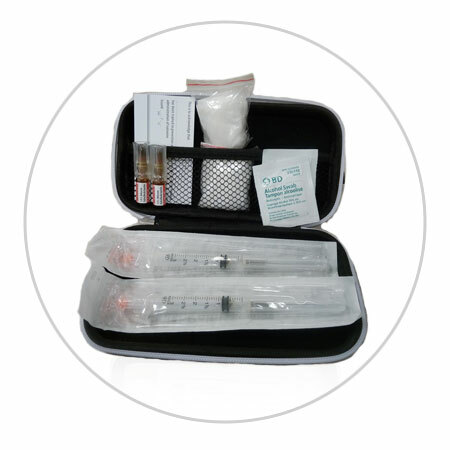 Inject 1 vial or ampoule (a small glass container) (0.4 mg/1 ml) of naloxone into their upper arm or upper leg. Continue compressions until the person responds or EMS arrives. If they are not awake after 2-3 minutes, give a second dose of naloxone. 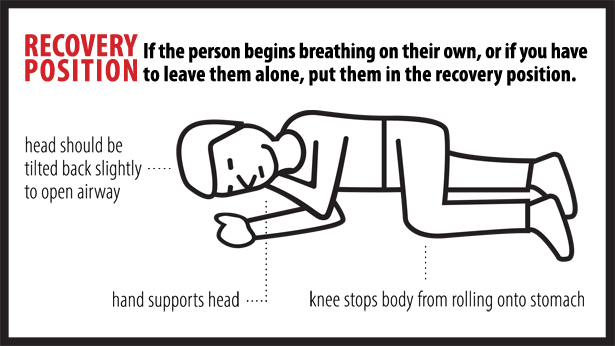 If the person begins breathing on their own, or if you have to leave them on their own, put them in the recovery position. Stay until the ambulance arrives in case paramedics need help or information, or the overdose symptoms return. With more powerful opioids (fentanyl and carfentanil) there is a possibility that a person will overdose again even after they have been given naloxone. Continue compressions until the person responds or EMS arrives. If they are not awake after 2-3 minutes, give a second dose of naloxone. Note: This information is intended to reduce the harms related to drug use, including deaths. Not using drugs is your best defense.